Metric Coarse - Flat (Countersunk) Head - Socket Screw - Grade 10.9 Alloy Steel. Supacheap bolts stock M5, M6, M8, M10 and M12 diameters and lengths to 50mm in certain sizes. Countersunk head socket screw lengths are measured including the head to the end of the thread. Metric Coarse - Flat (Countersunk) Head - Socket Screw - Alloy Steel Grade 10.9 or 12.9 countersunk head socket screws or allen screws. Manufactured DIN Standard 7991 in high tensile 10.9 or 12.9 grade alloy steel. Our countersunk head socket screws are available in black finish or a zinc plated finish for corrosion protection. Suitable for high strength bolting into threaded components and assemblies in manufacturing, mining and engineering industries. 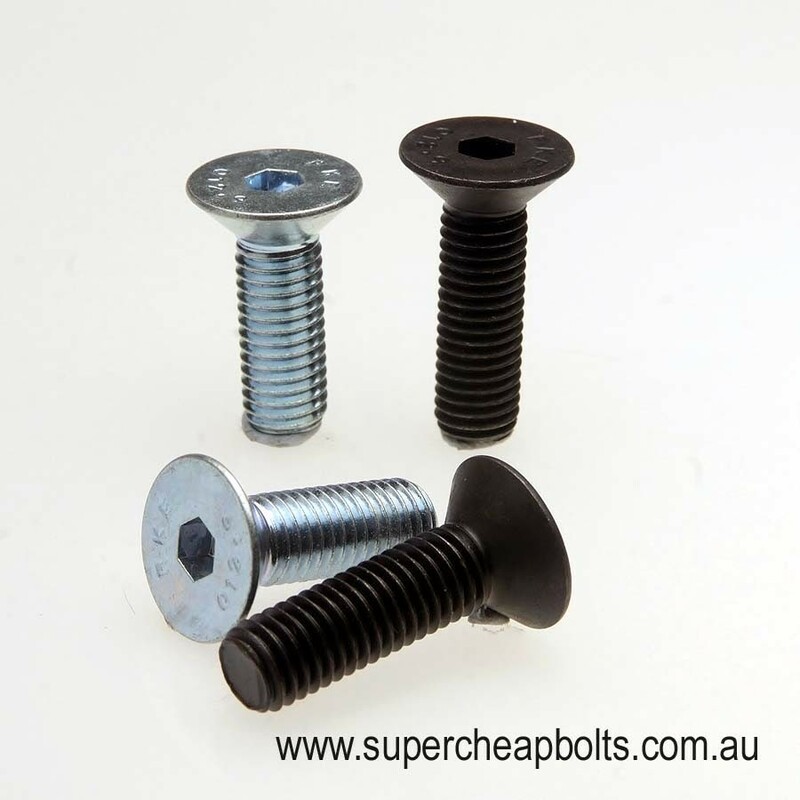 Supacheap bolts stock M5, M6, M8, M10 and M12 diameters and lengths to 50mm in certain sizes. Countersunk head socket screw lengths are measured including the head to the end of the thread. Our normal stocked product is Grade 10.9 if this product is unavailable we will supply Grade 12.9 as a substitute.